As Mambo Chita Tann, Tamara L. Siuda is a Haitian Vodou priestess, and the author of Haitian Vodou: An Introduction to Haiti’s Indigenous Spiritual Tradition. She is the head of Sosyete Fos Fe Yo We, a Vodou house in the lineage of Mambo Marie Carmel Charles of New Orleans, Louisiana and Haiti, and has been a practicing Vodouisant for 15 years. Separately, Tamara is a professional Egyptologist and the founder and Nisut (spiritual leader) of the Kemetic Orthodox Religion, a modern form of ancient Egyptian polytheism. Have you been to Minnesota before? Mambo T: I have some friends there and have visited previously, but this is the first time as a presenter in the Twin Cities or at Paganicon. How does Haitian Vodou differ from Ifa and other forms of voodoo? Mambo T: Ifa isn’t voodoo at all. Ifa is a practice that is exclusively from the Fon people, the people of the area of what we call Yorubaland, areas in what is now called Benin and Nigeria. There is another area not very far away on which is often referred to as Dahomey, another West African area closer to the sea. That area has its own practice of very similar magical tradition, or religion, depending how you want to call it. Calling any of these things religion is sort of imposed by the outside. The people living on the sea have a tradition that they call Vodu. Haitian Vodou is a tradition exclusively in the Western Hemisphere. It starts in Haiti and it includes elements of many things. It has elements of Vodu and Ifa, it has elements of the indigenous traditions from the Haitian island. It also has some European traditions in it, French things, Martinism, and even Freemasonry. Haitian Vodou is as much a creole as the language of Haiti is a creole. It includes things from many different places, and many different kinds of things. Ifa is much more culturally specific than what we do. We understand it — we actually have some of the same spirits — but Vodou is not limited to what they do in Ifa. There is an also an American creolization going on in New Orleans that contains a lot more Ifa and Yoruba content. The African people who came to New Orleans brought most of their traditions from the Yoruba lands. There is also a kind of American or United States based creolization of a form of voodoo from all the different places voodoo comes from, with root working, conjure, and all of those African and African-American traditions. In some ways the melting is confusing. As for my part, I just do Haitian Vodou. Mambo T: A mambo is a priestess. There is a junior mambo and a senior mambo, and I would be initiated to the senior rank. In addition to doing work with the spirits, for people, and helping the community, I can also initiate other people in my own house. That is the major difference between the junior and senior ranks: if you have the authority to bring other people in. The male equivalent of a mambo is called a houngan. What kind of course of study or path did you take to get where you are? Mambo T: I actually got dragged in! I never intended to be involved in Vodou, even though I always found it interesting. I had more than enough obligations on the Egyptian side of my spiritual life. I first got involved with Vodou when I was working with my Egyptian organization and ancestor veneration: knowing who your dead people are and approaching them. And I was doing a set of lessons around how to contact them better. One of the suggestions that had been brought up was to go into genealogy and find out things about the cultures from where they are from. So, I started to look into my own genealogy and found things around some Native American material, which we always knew was there. While peeking into that I started to find paperwork from people from Africa, and that intersected with Haiti. I looked into it, and I got dragged in! I also never intended to initiate as a priest. I just wanted to understand a little bit more about what my ancestors wanted from me. When they answered, then I considered becoming initiates. You don’t have to initiate in Haitian Vodou. Probably 90% of people practice and never go through an initiation; it is not required. You can also initiate just as a serviteur, as a practitioner, at a non-priestly level. But the message came back both from the Vodou spirits and from my Egyptian Gods that divination needed to be done to find out whether everybody approved. So we did divination from the Egyptian and the Vodou sides that came back and said I had to initiate at the same priesthood level in both. Does initiation involve a course of study, or are you called and then it’s done? Mambo T: The initiation ceremony in Haiti is actually multiple ceremonies, and takes days and days of ritual. Haitian Vodou does not have a central authority. Every house has its own rules or training. Most people in Haiti learn by doing and as children and through their whole life. There’s a lot of catch-up that needs to be done, coming from the outside. The particular house that I came into at the time of my first initiation in 2001 did not think it was particularly important to have prior experience. Initiation for them was more of a beginning. You would do the initiation and then learn to do the job. It was very difficult, and now, even 15 years later I still struggle with it. There is a certain basic level material that I think is very good to have. I have a different perspective now. And there is an ongoing issue with this in Haitian Vodou, about how to accommodate people who are not brought up Haitian. Do you just give them initiation and send them off, or do you ask them to learn something first? There are also unfortunately people out there who are more interested in getting money out of you, since it takes thousands of dollars for initiation. There are those who will take your money and tell you you’re a priest, but not do the ceremony correctly. How do you get experience if it Vodou not practiced in your community? Mambo T: Haitian Vodou is a community-oriented practice, even when you’re doing something by yourself. You are still considered to be part of a family and part of the society and tradition and within a larger group. A good, healthy house does have direction. I live in Portland and my closest family is in New Orleans. if I wanted to see my mother or if I want to do a ceremony with people other than myself I have to fly to Haiti, New York or New Orleans right now. Practitioners often travel several times a year to their house, or their family, and also work on their own under the direction of the house. It is a challenge to keep yourself going when you’re isolated. The Lwa are calling people outside Haiti. We don’t know why that is happening, but it is happening They’re providing the way for all of us together. There’s a Haitian proverb that says, “If God calls you, he will pay your way.” If you are supposed to do this, the way will open. 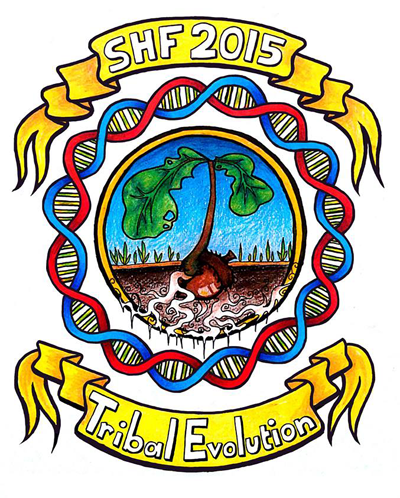 Sacred Harvest Festival (SHF) is coming up beginning Monday, August 2nd and many are wondering about the new site 90 minutes North of MPLS./St.Paul near Finlayson,MN. Festivants will find many of the popular activities continuing with the move, some new additions, and a packed schedule of workshops, entertainment, and rituals contributing to the family atmosphere this festival is known for. SHF Featured Guest Joy Wedmedyk is offering workshops each day and a special “White Table Misa” , Spirit Mass Friday night. 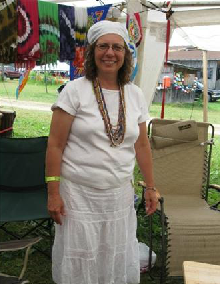 Joy has studied Mediumship, Divination, Symbolism, and Shamanism for over 35 years. Initiated in Regla de Ocha, Native American and African Shamanic traditions. Joy is an nationally recognized teacher, Medium, Shamanic healing practitioner and artist. I talked with her by phone from Cleveland. How has your spiritual path developed since your appearance at Sacred Harvest Festival (SHF) in 2007? Joy: I have done a lot of work on my medium-ship skills and shamanic healing work. I have a shamanic healing practice now that is pretty steady. I continue to study with my elders. I have learned a lot more about spirit attachment and release and the underlying causes of unwanted possessions and illness. I believe my divination skills are much improved and developed. I have worked a lot more with the Spirit Mass, which I will be offering at SHF. I have been studying the cosmology and the divination system in my Lucumi Orisha worship. I have also been working more with the plant spirits and have created a line of my own spiritual baths and oils. I currently have a number of students that study with me privately. Are you practicing within your tradition? Joy: I am connected with an Ile in Michigan and I travel there to work and learn. An Ile is a house, and I also have my own house because I am crowned to Yemaya. I work within my own Ile and then work helping the Ile in Michigan with their initiations. It takes about 20 people to perform an initiation to become a priest so I haven’t done them at home except for the smaller initiations such as the giving of the beads. As a priest of Yemaya I am responsible for the spiritual progression of the people that have come to study with me. You are offering a Spirit Mass Friday night, what can you tell me about it? Joy: The Spirit Mass is a syncretized tradition from Allan Kardec, raised a Catholic who founded Spiritism in Europe. In America this was called the Spiritualist movement. His books were translated from French to Spanish and arrived in the Caribbean. The slaves there picked up on the séance aspect, very popular at that time, to speak with their ancestors and the séance was adopted into their traditions. What I offer is called a “White Table Misa”. We set up a white table with water, flowers, candles and cigars. We will recite some of Kardecs original prayers and I have added in some more Pagan style prayers. We will also sing gospel songs. We believe this service allows the spirits of our ancestors to receive “light, evolution, and progression”. Later we open up the service and anyone present may get or transmit a message, unlike events with a single medium present. We pass rum and smoke cigars (optional) and sometimes people are called out for a blessing or a healing. We may use a sheet to lift a spirit off a person. People usually receive very useful information and may hear from one who has crossed over. It is not a possession ritual, per-SE, though it can happen. There are particular spirits which are connected with the Misa, who may appear. What is the Initiation workshop about? Joy: This is a presentation covering general styles of initiation, like going on a spiritual quest, or confronting the roles of good and evil, among others. We talk about the main aspects included in most initiations, such as the enclosure, a change, and a rebirth. I will offer tips and guidelines for the Pagan community on how to perform successful initiations and avoid common pitfalls. It is important to have your whole community involved. When any one person is initiated in a community, everyone goes through a change. This workshop is also very helpful for healers to understand how people move through the world spiritually. Joy: This is for people already doing meditation or praying at an altar or are wanting to learn to connect, and have been trying to get answers or information. It also covers making connection with the ancestors because the belief in my tradition and many others is that they are the ones that care about you, and want to help you the most. I cover how to ask better questions to get the information you need. People may ask a question and get one answer, and then go with that when further focused questions may better define the situation. If you are doing a reading and can’t quite figure out the answer, being able to ask questions in a different way is helpful no matter what system you use. In healing or shamanic work you may have some information about what the person needs but knowing what comes first?, what does it look like?, what does this do? etc.. and using good questioning can offer more helpful and useful information. It helps to stick with the questioning process and fine tune the information you are working with to get the answers you need or the results that are desired. How did you learn Mexican folk healing? Joy: I had my shamanic awakening in the mid-eighties and about 2007 it became more important in my practice. I had a call to do a shamanic healing on a man, and he brought his wife from Mexico. I did a reading for her to, and I was told to do a healing for her with flowers. We did the healing and it was beautiful, by the end she was covered in flowers. After the healing she was asking me questions about my practice. She said, “You heal like my grandmother from Mexico”. She used many of the same practices. I got very interested and the first book I picked up opened to Mexican flower healings! The next book I opened talked about the practices used in Curanderismo, Mexican folk healing, and I realized I used most of them and fit that example. I studied more and found it is similar to my work. They use flowers to deal with things like grief. The spirits of the flowers help with healing. I had already used flowers in spiritualism as a reading tool, and I already had that relationship with them. It was easy for me to integrate this new information. Are you comfortable identifying as a shaman? Joy: The reason I use the term “shaman or “shamanic practice” is because when I described to people what I do, they responded with a blank stare. I work with people’s ancestors to bring healing through their lineage. If there is a story there, abuse, illness, or such, the first thing I do is speak to the ancestors and try to resolve any conflicts in that lineage. In Native American tradition I learned we heal for the seven generations after us. From my work with the indigenous traditions of Africa I learned we also go back seven generations to do that healing. That is what makes us whole. When I tried to explain, I just ended up saying. ”I do shamanic work, I journey for answers to help with health and family.” This people were willing to accept, that is why I use it. It is a simple way to explain the mix of practices I use. I am not a “shaman” in any one tradition but use many tools that shamans use. What should people know about your appearance in Minnesota? Joy: I want the people who attend to know the reason I teach is because I want people to have as much information as possible to be able to move forward spiritually and to know prosperity and abundance in all levels of their life. I love to encourage people to develop their own skill set, and perhaps offer them a different perspective about a practice they may already be doing. Sacred Harvest Festival runs from Monday August 2nd – Sunday August 9th, at Atchingtan Education Grounds – 14730 135th Ln, Finlayson, MN, 55735 . Advance Registration ends Thursday July 30th at midnight, but gate registration is available for a day, weekend, five days, or the full week. Nels is a member of Harmony Tribe. Selena Fox is a well-known priestess, environmentalist, religious freedom activist, writer, teacher, and psychotherapist. Also known as Rev. 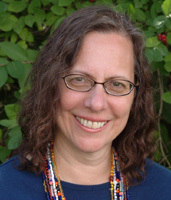 Selena Fox, she is senior minister of Circle Sanctuary in Wisconsin, which has been serving Nature religion practitioners worldwide since 1974. Nels: Tell me about your Cauldron Magic workshop? Selena: I have been studying folklore and folkways for many years, and old folk traditions are an essential part of the Circle Craft tradition that I practice. In my Cauldron Magic workshop, I will share some of the ways that cauldrons have been used in ceremonies as well as in daily life through time and across a variety of cultures and spiritual traditions. I also will share some of my own experiences working with different types of cauldrons as well as ways that Pagans today can use them as ceremonial tools and symbols for celebrating the seasons, home blessings, and other sacred work. In addition, I plan to facilitate some Cauldron meditations and experiences during the workshop. What will you include in the Pagan Death Passages workshop? Selena: Creating and guiding Life Passage Rituals is an important part of my services to Pagan community and has been since I began priestess work more than forty years ago. In addition to creating and performing weddings, baby blessings, coming of age into adulthood rites, cronings and sagings, I also do several types of end-of-life passage rituals. 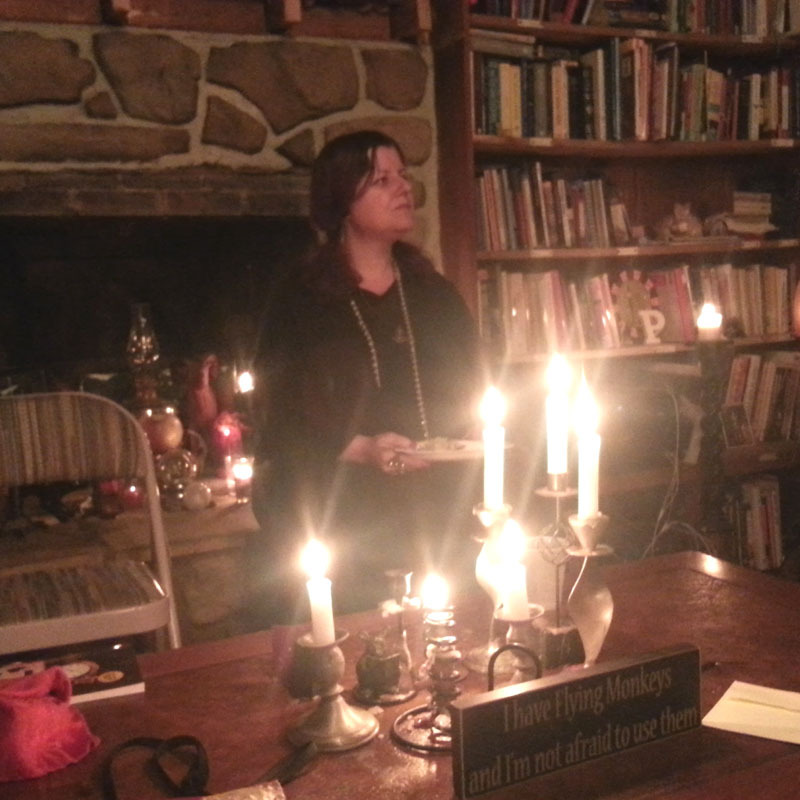 The Pagan Death Passages workshop emerged out of my experiences working with individuals and their family and friends prior to, during, and after death. I realized that there was a need to do end-of-life preparation education as well as facilitate crossing overs, funerals, and burials when the need arises. In my Pagan Death Passages workshop, I share ideas and information about ways to support end of life planning and processes for family and friends, and I also express the importance of considering your own needs and making your own end of life plans. This workshop also is designed to help facilitate community discussions and considerations about dying and death, topics that some are reluctant to talk about with others. In the workshop I not only present some information about types of end-of-life ceremonies but also give practical tips on end-of-life planning. We will explore ways to support a loved one at the time of being diagnosed with a life-threatening illness, and discuss approaches to maximizing quality of life in the time remaining. We will talk about working with life review during the last part of life. We will examine crossing over support, including the use of music, touch, presence, readings, and ritual. We will also look at post-death rites, including customizing wakes, funerals, memorials, and celebrations of life. In addition, I will be talking about natural burial as a death passage option. Part of my work with Circle Sanctuary includes being the director of Circle Cemetery, a national Pagan cemetery and one of the first Green cemeteries in the USA. It is located at our headquarters near Barneveld, Wisconsin and this year we will be celebrating our cemetery’s 20th anniversary. We inter cremains at our cemetery and also do full body natural burials. Natural burial, also known as Green burial, is an ancient Pagan practice – it is placing an un-embalmed body in the earth in a shroud or other biodegradable container. In the workshop, I will describe some of our work in doing burial rituals at our cemetery, as well as things to consider in selecting a cemetery as part of end-of-life planning. Is the Goddess Brigid one of your personal patrons? Selena: Yes, and I’ve been working with Brigid for most of my priestess life. I keep a Brigid Shrine at my home and also am among the caretakers of Brigid’s Spring, an outdoor healing place dedicated to Her at Circle Sanctuary Nature Preserve. I had already been working with Brigid for many years, when I discovered while reading a book on Scottish history that I am descended from some who were caretakers of a Brigid site in Fife, Scotland. In addition to doing personal Brigid work, I also facilitate Brigid rites for small and large groups at various conferences and festivals across North America. The Brigid Healing Ritual which I will be facilitating at Paganicon has evolved over time as my own work with Brigid has deepened. In this rite as well as in my own person work, I work with Brigid in a variety of forms. In addition to honoring Brigid as the Triple Goddess of Inspiration, Healing, and the Forge, I also work with Her as a Sun Goddess, and a Goddess connected with the Land, Oak, Swan, Flames, and Waters of holy wells and sacred springs. Included in the Brigid Healing Ritual are invocations and chants drawing on these different facets of Brigid. We will be doing different types of healing during the ceremony — healing for ourselves, healing for each other, and healing for loved ones at a distance. And we also will be doing a community working for the well-being of Planet Earth and will energize Brigid crosses, charms, necklaces, and other items participants place on our central altar during the rite. I am looking forward to bringing the Brigid Healing Rite to Paganicon. 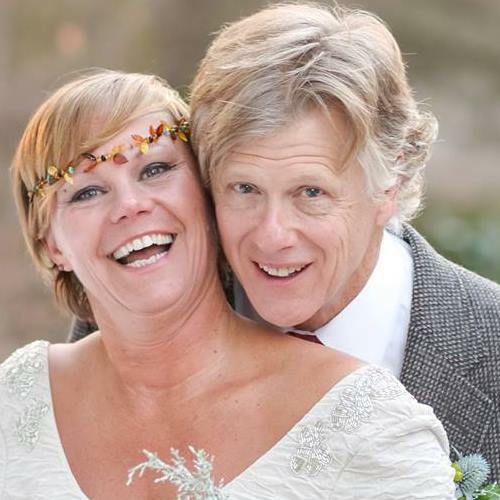 This past Saturday, November 29th, Penny Mixhau and Brian McNee became handfasted at their home in Prescott, Wi. Brian and Penny met almost 5 years ago when she was working at Bandana Chiropractic. Good friend (and wedding photographer) Kjersti Kronstedt worked behind the scenes to set them up. Not exactly on the same spiritual path, they do share much, including common values and philosophies, a love of spiritual growth, art, history, travel, and offbeat movies. Brian and Penny host several events during the year at their home, including MayFest at Beltane, and an annual Turkey Free Thanksgiving, where they welcome Pagan friendly individuals from a wide variety of Pagan and other paths. 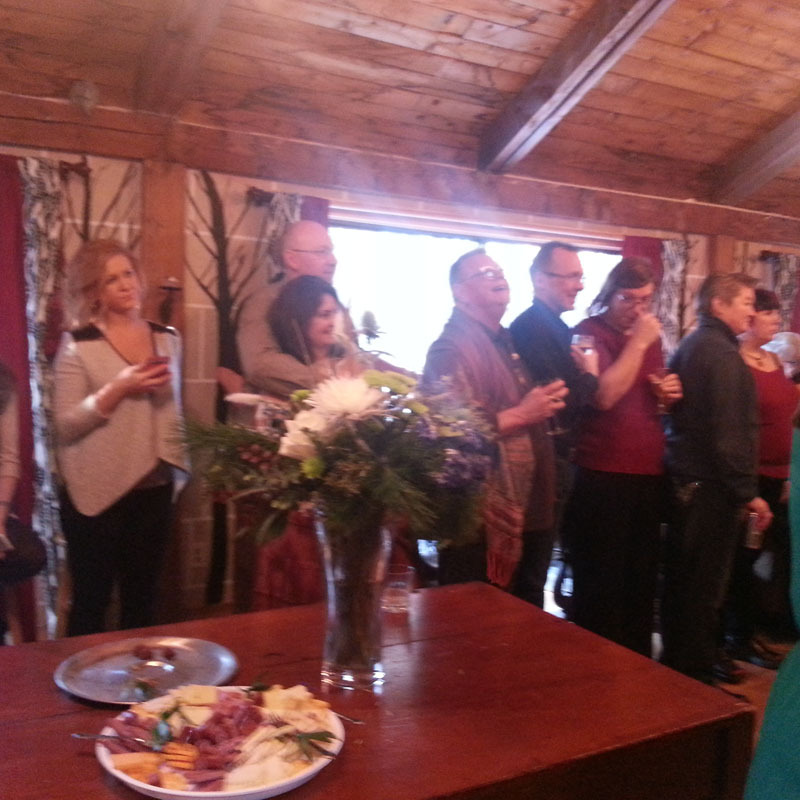 This same mixture of long time Pagan friends, family relatives, and folk of open hearts gathered for this ceremony. The handfasting officiants were Yeshe Rabbit Matthews and Joe Schumacher. Nels Linde provided the music and props for the Abbots Bromley Horn Dance processional and Kjersti Mortenson Kronstedt of Mortenson Photography was the photographer. 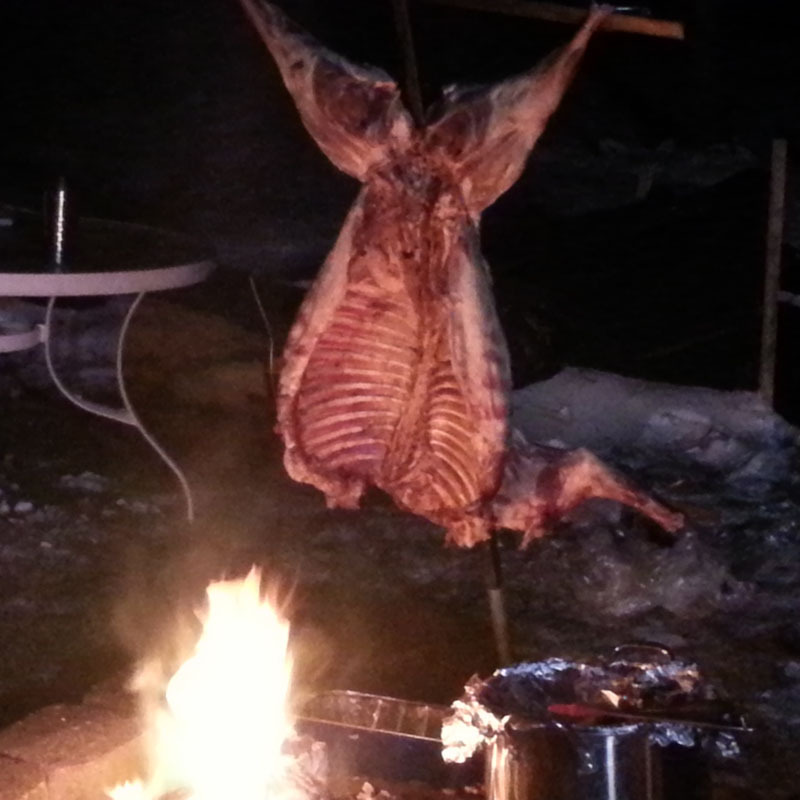 A lamb for the following feast was a gift from Lou, Bob, and Otter. Alan Snow was the fire master. His helpers were Jude Kroutil and Jaimie Zaugg. It was a really fine ceremony to experience and a joy to celebrate the happiness present in this union. The ritual was elegant and brief, yet allowing all present a chance to speak blessings to the couple. 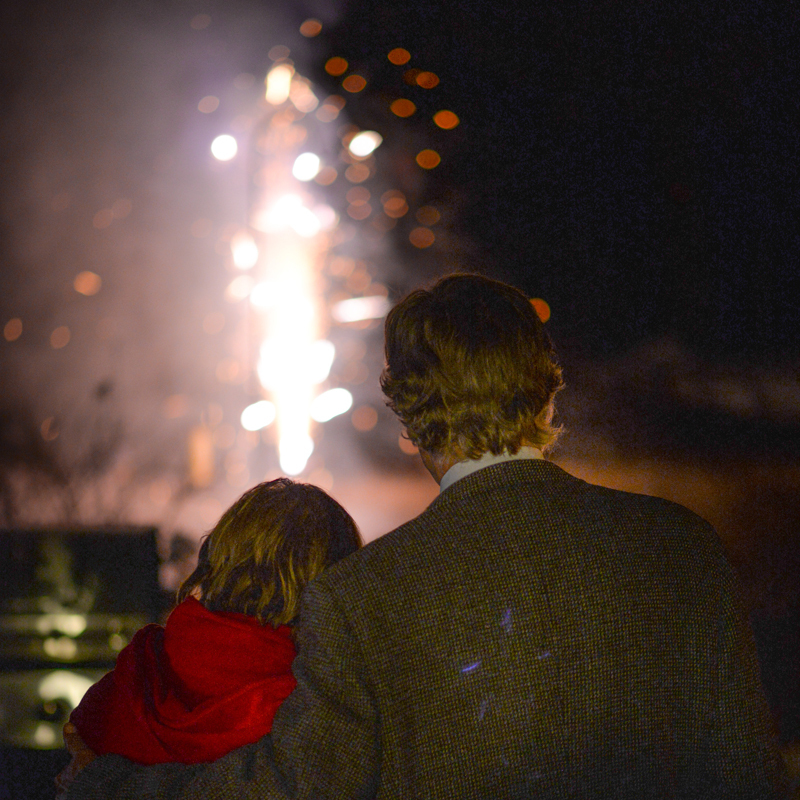 A bountiful feast and fireworks display culminated the days events. In the Twin Cities we are blessed with a wide variety of performance art options. Some of my favorite events are community based, like the May Day Parade. At this end of seasonal cycle Barebones Productions puts on its Halloween Extravaganza. This is an evening event, outdoors in a park late in the fall in Minnesota. 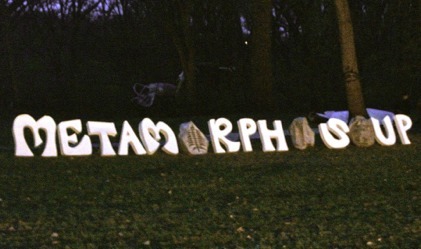 For the 21st annual production Barebones presented Metamorphosoup. attended the temps were in the cool, but comfortable 50’s. Much better than some years, but still nice to be bundled up. This year’s presentation seemed shorter than some. There is often a theme or story associated with the production. This year seemed more pageant than play. The audience entered through the mouth of the great whale and found their seats on hay bales under the trees. We watched the new moon setting over the trees as we waited for full dark, for the audience to settle, for the main show to begin. Actors/street performers dressed in Halloween visions of carnival characters directed people to seating and kept us engaged. There are 5 performances with a total attendance around 8,000 people (maybe more this year due to the fine weather). Complete with puppets, aerialists, fire spinners, dancers, singers and musicians we watched the cycle of birth and death and rebirth play out before us. This was the story of the cosmic soup, the great cauldron of creation. This was a pageant of evolution and destruction, of limited resources and greed, and the bounty of stone soup. There were moments of profound loss and grief and moments of awe and joy. There was an acknowledgement of ancestors lost and of remembrance. 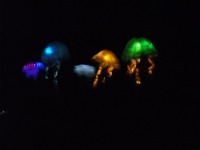 the scene to the ocean filled with floating luminescent creatures lighting up the darkness. 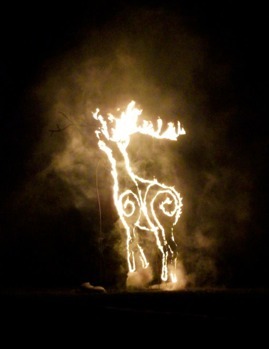 Fire spinners dances in glorious numbers, circles and forms. Each time they appeared the fires beneath the great cauldron seemed to glow brighter and the cauldron grew bigger and bigger. In the end there were the ancestors, and the stars. Even after the presentation there is still production happening. This is not just a play, but an event, a community ritual. There is a beautiful Hungry Ghost Altar set up around the tree for people to spend time honoring their ancestors, beloved dead and unknown dead alike. 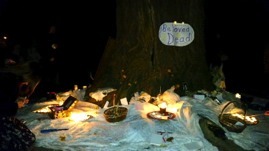 There is paper to leave notes and messages, candles available to light, offerings made with the great tree as witness to all that happens at its feet. The Jack Brass Band (the Brass Messengers on other nights) played music into the night. The brass band echoing on the wind is reminiscent of a New Orleans style funeral procession, somber on the way in but joyous and celebratory on the way out. Sisters Camelot had hot food available for those who stayed and needed a warmup.There was also some merchanting, another source of funding for this amazing production. Suggested donation $10-$20 – new this year they will accept credit cards!